Although the actual Slush event is still a couple of days ahead, pre- and side-events are already in full swing. 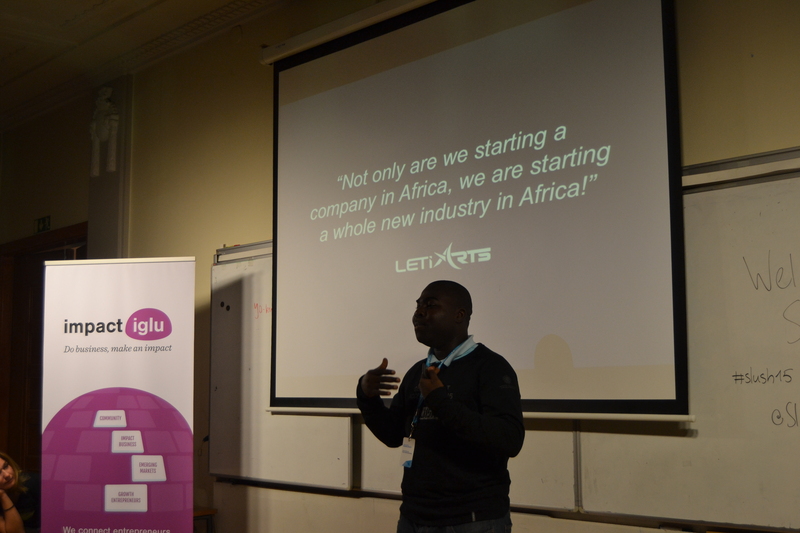 One of them was Slush Impact X, which was organized in collaboration with Impact Iglu and Helsinki Think Company. Here’s a taster of this sold-out event targeted at students. The Slush Impact X was organised for the first time in the Slush history. It followed the logic of the popular TED X events, where inspiring speakers address topics such as science and culture through storytelling. 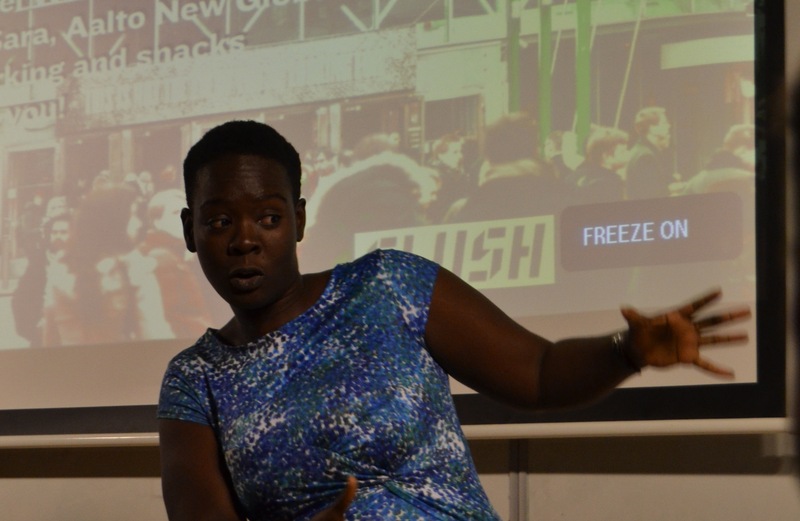 At Slush Impact X, the programme consisted of Slush Impact speakers and Slush Global Impact Accelerator entrepreneurs from emerging markets sharing their story at the New Student House in the heart of Helsinki. One of the speakers was Eyram Tawia, the CEO and Co-founder of Leti Arts which is a Ghanaian game company developing cross-platform interactive media products based on African history and folklore. The notion that there should also be superheroes in Africa has now brought African stories to a worldwide audience through their products. Eyram’s definition of impact relies on his personal experience: “When a high school student sends me a text message saying: ‘I want to become a game developer’ – I think that is impact”. Other speakers included Winne Dzidonu and Tyro Tan. Winnie is the Product Manager of Transcel which is a Jamaican mobile payments company which lets you plan and budget mobile money transfers. In her story about learning through trial and error, she highlighted that while one cannot solve all problems, it is worth choosing the ones that appear the most interesting. Tyro Tan is the founder of the Chinese Biochemilogic Co. Ltd. who works with health technology development in general and mobile medical application promotion in particular. The mobile applications aim at connecting patients with hospitals when distances between the two are long. Lastly, Mei Wen from Start-Up Sweden shared her story pointing out how one can strive toward great goals even without always knowing exactly what one wants to do. Having worked in banking, consulting and engineering, Mei is an entrepreneur herself and advices several companies and start-ups today. The event also got positive feedback from the audience. Two attendees were picked up for comments. Slush Impact X was the first Slush event for Vilja Kamppila, a graduate student in social and public policy with a special focus on urban studies from the University of Helsinki. She thanked Slush for expanding the Impact track to easily-approachable side events. Marina Smirnova, an interior designer and entrepreneur herself, also found the event inspiring and helpful. She thought it was easy to found common ground with the speakers since entrepreneurs face many similar challenges around the world. Based on the positive atmosphere and the crowded lecture hall, Slush Impact X has demand to grow in the following years!